Launceston player-coach Ryan Westren says he and head coach Mike Lewis are struggling to pinpoint the team's mistakes. 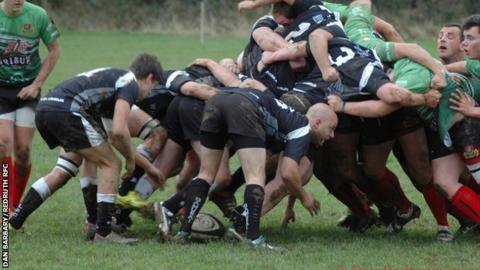 Westren made his 200th appearance for the Cornish All Blacks as they lost 54-19 at home to Clifton. "It's hard to pinpoint where we're going wrong because it's different things on different weeks," he said. "It's not the same thing putting us to bed each week, so mine and Mike's job is to try to work out what that is." Launceston have lost all five of their games without registering a point, and are bottom of National Two South. Westren, who plays at centre, has taken on the added responsibility of backs coach this season. "We're a club that's been built on the traditions of people not leaving, so when the majority of the squad are new boys it needs time to knit together," he told BBC Radio Cornwall. "We've still got 25 games left so hopefully we can still turn it around, but it's going to be a long hard season and the boys just have to knuckle down and work hard."